Starting to finish up now. The main cola bent over is getting lower to the ground all the time as the final weight stacks on. Some purple in the buds - not as much as I would have liked, but increased towards the end. Has an interesting smell of sweets and flowers. 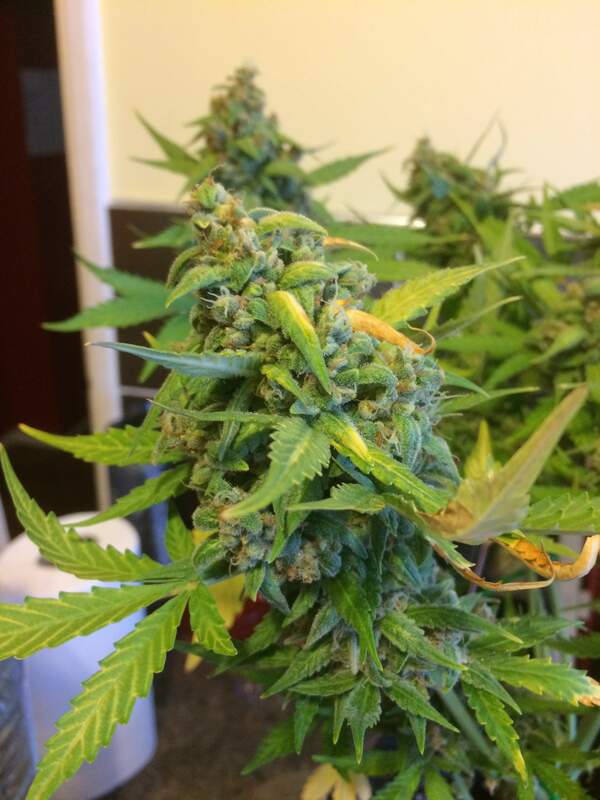 Buds aren't too dense at all but I think they'll have some flavour. Just on plain water now until the end. Do you have any like earthy undertones? @Lucky777, no not really. Flowery and sweet. Like some sort of candy.